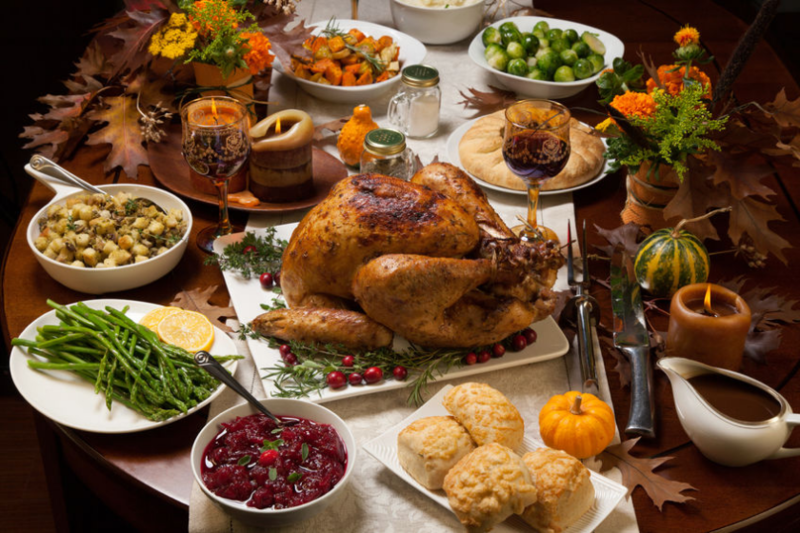 The abundance of holiday food might tempt you to disregard your healthy eating habits until January 1st. Don’t set yourself back by a couple of months! There are things you can do to have a delicious holiday, but still maintain your diet decorum. After all, there always seems to be an excuse—no matter what season it is—to stray from the foods you know you should be eating 90% of the time. And that’s not just for weight loss, but also for your overall health. Here are some favorite tips from Dr. Cannizzaro to help you modulate your mandibles during the holiday food season—or any time. The easiest way to conserve some calories for your favorite holiday food is to watch what you’re eating away from the parties and big dinners. Make sure you always have whole fruits and vegetables on hand to snack on if the urge strikes you. During the busy holiday season, it’s much better for your health to keep a Ziploc bag of raw almonds with you. Don’t catch yourself in a low blood sugar fervor while at the mall and oh-so-close to the coffee shop with big chocolate chip cookies in a case by the register. Do yourself and your family a favor and keep chopped-up vegetables, raw nuts and low-sugar fruits like apples and berries on hand for quick snacks. Nut butters are easy to eat with celery or carrot sticks, but limit yourself to a tablespoon at a time because the fat count really adds up. (Even if they are from good fats, calories still matter!) That’s why we advise you to snack on unprocessed plant foods. Have you ever noticed that the less we mess with nature, the healthier a food seems to be for us to eat? Snacking healthfully will balance your blood sugar and make you less likely to pile everything on your plate at the office Christmas party. If given the choice, opt for whole-grain bread and rolls during holidays. The grains that compose regular white bread have been stripped of all their fiber and minerals. They are then “enriched” with an assortment of vitamins unnatural to the balance that God naturally placed in them. Some of the most healthful bread is made from sprouted grains, fermented starters such as sourdough, or homemade with whole-grain flour and natural sweeteners. If grains bother you or you’ve been told to avoid gluten, there are a few grain-free and/or gluten-free breads on the market. But you must read labels. All processed foods tend to contain added sugar and other ingredients that lack nutrition. Let’s face it, bread is easy to overeat. Partly because we hardly ever eat bread by itself—we usually slather on butter, olive oil, melted brie, nut butter, jam, or mayonnaise! Bread is a vehicle for unbridled calorie consumption! It’s also delicious, so just maintain your awareness of quality and quantity when you’re constructing your holiday food plate. Break the Rules Once in a While: Enjoy the Holiday Food! You can indulge at times, especially around the holidays when some of your favorite foods appear, often alongside family traditions. Indulging once in a while might even help you maintain a healthy weight! If you’re usually diligent about your diet, your body becomes accustomed to eating fewer calories and burning fewer calories all day long. A day of higher-calorie eating helps reset hormones and keeps your metabolic rate normal. Many trainers advocate a “cheat day” from your normal routine for this reason. Besides, it’s always much sweeter to carefully select a treat and very deliberately eat it with relish! But notice this is not permission to go wild for weeks. It’s just a one-day pass you earn after maintaining your healthy eating goals! Don’t wrap vegetables in aluminum foil when grilling them. Instead, use a grill basket or stainless-steel skewers. Using marinades also helps to keep them from burning. When baking sweet or white potatoes in the oven, they don’t need to be wrapped in foil, either. You can place them on a stainless-steel baking sheet instead. Instead of lining pans with aluminum foil, use parchment paper (but buy the unbleached, dioxin-free kind). Store leftover food in glass storage containers with plastic lids (thereby avoiding wrapping foods in either aluminum foil or plastic wrap, which both leach into food). Cover poultry in a cheesecloth soaked in ghee before roasting in the oven. This prevents uneven browning or cooking. Baste the bird as it’s cooking. You can also turn the bird frequently: start bottom side up, turn on each side, then finish breast side up. We hope these tips are helpful, and that you get joy, pleasure and health from your holiday food!